Manohar Parrikar has been suffering from a pancreatic ailment for the last one year. 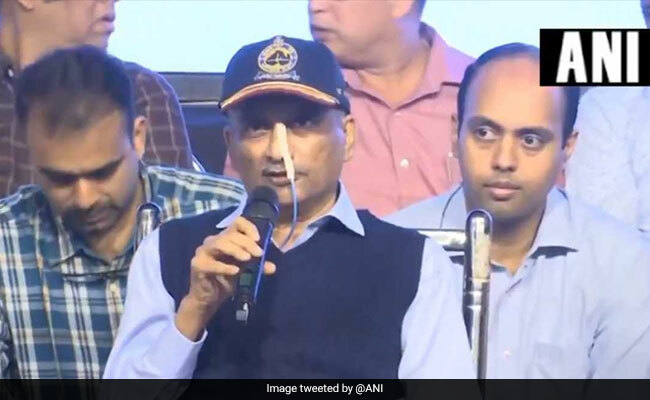 A Goa Minister today slammed social media posts for speculations on Chief Minister Manohar Parrikar’s health, saying they were like “essays for competition”. “This is not right. The Chief Minister has contributed a lot to the state of Goa and I think we should allow him that much privacy,” Health Minister Vishwajit Rane said after meeting Mr Parrikar at the Goa Medical College. “There are a lot of things coming in the media. I have been negating it, because you are not privy to anything. I am the only one who knows what is happening inside,” he added. “There is no question of any kind of bleeding. We are not discussing that. Only thing whatever discomfort he has been having, that has been addressed. He is in perfect shape now,” Mr Rane said.The Health Minister also said that a team of doctors led by AIIMS’ Associate Dean of Gastroenterology Pramod Garg, which arrived in Goa on Sunday to examine Mr Parrikar, would be returning to New Delhi and another team of doctors would arrive to examine “another medical issue”.Mr Parrikar was diagnosed with advanced pancreatic cancer in February 2018 and has been in and out of hospitals in Goa, Mumbai, Delhi and New York since.